Computer viruses are similar with the biological viruses as they infest the computer and you’ll need a cure (antivirus installation + virus deletion) to get rid of them. Fortunately at Computer King Ongar we can help you remove all viruses, trojans, malware, spyware, trojans from any type of computer equipment (laptops, tablets, smartphones, PC’s). Most of the viruses are designed to weaken and damage your computer operating system and delete the files. In addition to that there are some viruses (spyware) that can send confidential data such as passwords, online banking login details to hackers. Some viruses are so advanced nowadays that even with the latest versions of antivirus software installed you can’t delete them from your system. At Computer King we ensure that your computer or device will be cleaned properly and make it virus proof by installing the latest antivirus software. 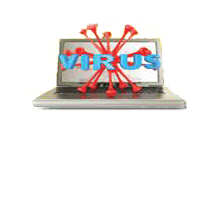 We also will advise you what’s the best way to protect from future virus infestations. You must be aware that we are the most responsible for our virus computer infestations as most viruses come attached by FREE Softwares, emails, etc. 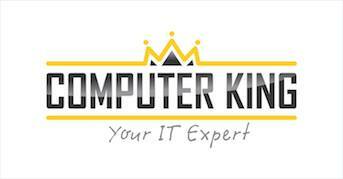 To contact Computer King Ongar for virus, malware, spyware, trojans removals services in Blanchardstown & Ongar, Dublin 15 please call 086 444 544, 01 683 1518 or email at info(at)computerking.ie. Alternatively you can bring your infected computer to us on 23 Main Street, Ongar Village, Dublin 15.